Nice mix cashmere V Neck jacket of the brand "Rebel Cashmere." 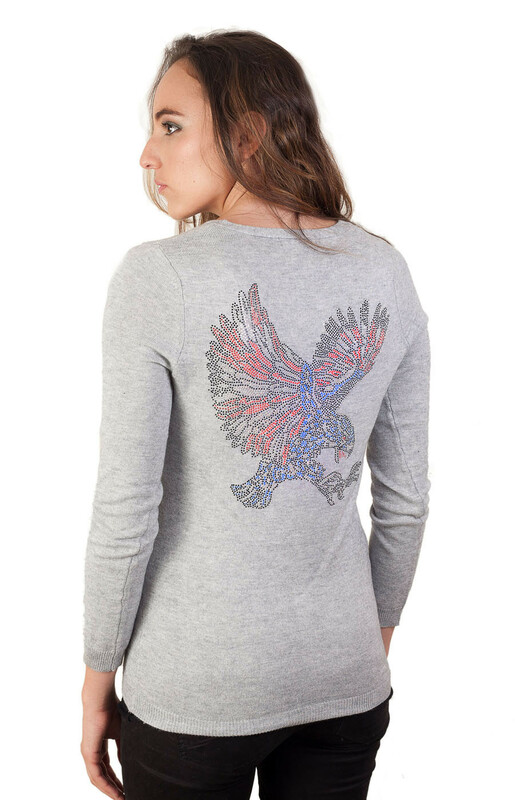 A superb drawing Eagle strassed adorns the back of this vest. For a young and casual look, this fitted jacket is worn with a white tank top neckline.